Based in Dunfermline in a purpose-built house providing full-time, long term residential care for children and young people with complex learning and physical disabilities, our service is a national resource and is widely recognised by both care professionals and parents. We provide quality living for those children and young people who can no longer live at home. You will contribute to the leadership, management and development of services for children, young people and families in line with planned objectives and assist with service review and evaluation. You will play an important role in the overall management function of the service. You will have relevant experience of working with children and young people with a disability in a community or residential setting, and understand the impact of disability on social inclusion. You are required to meet the qualifications requirement for this post which is at SCQF Level 8 (eg. HNC, SVQ Level 4). This post requires you to register with the Scottish Social Services Council as a Residential Child Care Worker with Supervisory Responsibilities. Aberlour Child Care Trust has launched a new family outreach service, Aberlour Sustain, in the Perth and Kinross area. 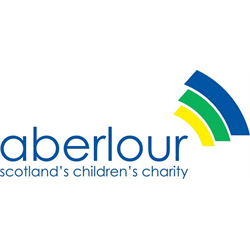 Aberlour, with support and funding from Perth and Kinross Council, will work with children, young people, families and local partners to develop a highly responsive service for children and families. Aberlour Sustain will deliver the support families need, when they need it, every day of the year. The aim of the service is to ensure that children and young people can continue to flourish at home, at school and in their local community. Using personalised and person-centred approaches and principles, the aim is to ensure that children, young people and families are supported to build on their strengths, assets and interests to develop enduring capacity and resilience. We also aim to support local professional stakeholders and communities to coproduce solutions. We are looking to recruit dynamic and creative individuals to deliver flexible, person-centred services with vulnerable children and families. Our current vacancy is for 37.5 hours per week; however we are willing to consider part time applications. Candidates should be enthusiastic, flexible and share our vision that collaborative early intervention and engagement is the best option for children and families who are experiencing difficulties. Not afraid to test new ways of working, you will bring a fresh and collaborative approach in a way which responds to the needs of the families when they need it – this will include early mornings, evenings and weekends. You will have experience of direct practice within this field of work, including child/adult protection issues as well as having experience of working with children with additional support needs. You will work within a variety of settings area including the service base in Perth city, family homes, schools and community settings. If you would like more information or wish to discuss this post, please contact Liz Nolan (Assistant Director) on 01786 450 335 for an informal conversation. Aberlour, in partnership with the University of Stirling and with funding from the Social Innovation Fund which is supported by the European Social Fund and Scottish Government, are developing a new innovative befriending pilot service for unaccompanied asylum-seeking children in Scotland. Unaccompanied children have a range of social needs including: social isolation, loneliness, poor mental health and integration. These are made more acute due to their separation from family, friends and communities. Befrienders can support the integration and interaction of these children with others in their new communities. They can help with language skills, build resilience through accessing social activities and provide consistent emotional support. To help develop this vital service and ensure its ongoing success for these vulnerable children we are looking for an experienced manager. You will have demonstrable experience in leading, supporting and managing both staff and volunteers. You will have delivered a successful befriending programme and have a good understanding of child and adult protection issues as well as knowledge of the asylum-seeking process. You will have a relevant professional qualification at SCQF level 9 and be driven to succeed. Our 5% allowance recognises that the post holders may work out-of-hours, evenings and weekends to induct, train and support volunteers. The service is a new pilot scheme being funded initially for 12 months. The post is for 22.5 hours per week (3 days) although hours can be worked flexibly. To help develop this vital service and ensure its ongoing success for these vulnerable children we are looking for experienced and dedicated workers. You will have demonstrable experience of supporting volunteers. You will have a good understanding of the issues facing children within the asylum-seeking process along with experience of developing and delivering training. You will have a relevant professional qualification at SCQF level 8 and be driven to succeed. The service is a new pilot scheme being funded initially for 12 months.